If you shoot a person that enters onto your property illegally or in self-defense, you can be sued. That’s right – you can be sued for protecting yourself. News stories from around the country are popping up with homeowners defending themselves and their family with a firearm only to be sued in the process. In some cases, the homeowner will lose, causing them to pay thousands of dollars to the defendant. It’s a horrible case of justice, and it’s not going away any time soon. Armed Citizens Legal Defense Network is one of many – including USCCA – that are taking a stand to help you in the event that you’re sued for using a firearm. It’s a protection that every gun owner should have, and it comes at a low cost of just $125 a year. What is The Armed Citizens Legal Defense Network? A network or organization that helps members defend themselves is the best way to describe the Armed Citizens Legal Defense Network. What the network aims to do is help anyone that is involved in a self-defense incident through both support and education. Book: A 235-page book that covers several self-defense parameters and concerns. DVDs: A set of 8 educational DVDs from legal experts and instructors. All of the legal parameters in accordance to the use of force for self-defense. How to handle life after using force. Legal concerns that can and will arise in the aftermath. You’ll also be subscribed to a monthly journal, which is posted online for members. The journal will cover interviews with industry-leading experts, updates, and provide further education to you as a reader. Every state is different, and the use of “force” in your state may not be as cut and dry as you imagined. All of this educational material is essential for gun owners who want to defend their family without worrying that their lives will be in shambles following the incident. But, there are a lot of other great benefits offered, too. $10,000 paid to your attorney for your legal defense. Payment for an in-network expert to review your case. Access to use of force experts at no charge to you. 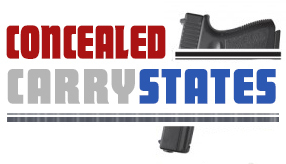 Network-affiliated lawyers and attorneys that specialize in firearm usage and defense. Access to legal experts and use of force experts that can help you defend yourself in court. You’ll have all of the logistics covered, and you’ll have a network of professionals to fall back on if the worst happens. What’s really great is that members can choose to sign up for 3 or 10-years and will pay much less for their membership. The price is just $265 for three years of membership and $690 if you apply to be a 10 year member. You can also add other household members to your membership for just $50 a year, but these members must all live at the same address as you. If you want insurance that will protect you from use of force lawsuits, you can also choose USCCA. 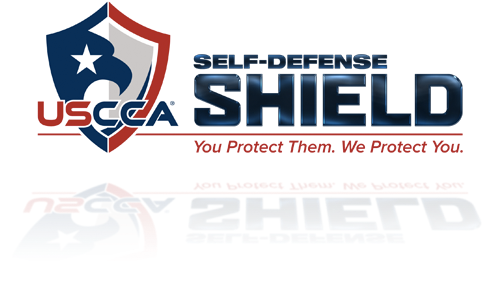 The differences are that USCCA offers more of an insurance plan than Armed Citizens Legal Defense Fund. These are just the main benefits offered by USCCA. As a member, you’ll be missing many of the educational and support benefits offered by Armed Citizens, but you’ll also gain substantial monetary benefits as a member. If you own a gun, you need some type of self-defense insurance. Anyone that does have a firearm and will use it without hesitation to protect themselves or their family needs to mitigate their risk of a lengthy court battle afterwards. The best way to mitigate these risks and protect your family financially is through self-defense insurance. Both Armed Citizens Legal Defense Network and USCCA are beneficial. If you can’t afford USCCA or you need more of an informative approach, Armed Citizens is the best option. Those that can afford higher payments should consider USCAA’s three packages for extended financial support and benefits. Click here to become a member of Armed Citizens Legal Defense Network.